Now that it’s tax time, we hear a lot about what the government is doing with our money, as well as who “should” be paying what. One of the popular ideas floating around is the flat tax, which is the idea that everyone should pay a flat percentage of their income. There are variations on the flat tax, and some even include limited deductions for charity, as well as some allowance for those who might be especially poor. However, the version that many of the local Mormons prefer is a straight percentage, tithing-style. Recently, someone asked me if I thought what I was paying in taxes was “fair” considering we moved up a tax bracket for 2012. “No, not really,” I replied. After I pay my 10% — and even after I pay my fast offerings, and into the ward missionary fund — I still have plenty of money left over to pay the bills and do the things I want. However, someone who makes $30,000 misses that $3,000 paid in tithing more than I miss the money I pay. That tithing comes out of discretionary spending. Even where I live, with a low cost of living, someone making $20,000 or $30,000 would be hard-pressed to enjoy a good quality of life, able to meet obligations. Paying tithing at that income level is a true sacrifice in a way that paying 10% (or more for other offerings) isn’t for me. Take a moment and consider the parable of the widow’s mites. 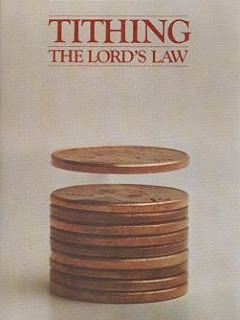 Besides, even tithing isn’t the “perfect” law. From the Mormon perspective, tithing is a preparatory thing. Something else is coming, and it’s going to be all about giving more if you have more. ← Yes, Paul Ryan. Let’s Try THIS Again. As someone who works 1 full time job and 2 part time jobs to just barely meet that $30k/year gross income, paying 10% in tithing and then paying taxes, leaves very little left over, all of which goes to pay off debt. However if I were to make an extra $10k or $20k a year I would live very comfortably with little to no debt. Sometimes it’s hard to look at that $3000 tithing statement at the end of the year and NOT think “I could have paid off debt”. 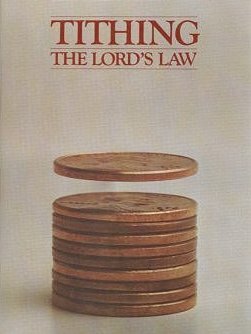 It makes me wonder which of God’s laws I should keep…being debt free, or tithing. Because as it stands I can’t do both, which frustrates me.